Mario Lemieux was inducted into the Hockey Hall of Fame in 1997. 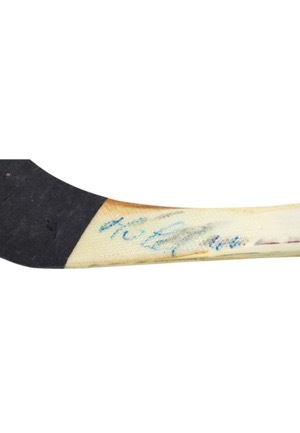 Lemieux won the Hart Memorial Trophy (league’s regular season MVP) three times, the Art Ross Trophy (league’s points leader) six times and the Conn Smythe Trophy two times. 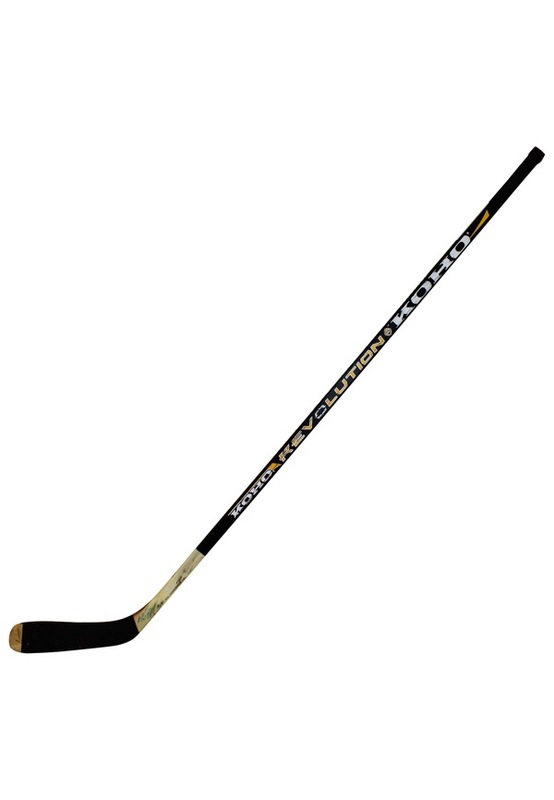 “KOHO” manufactured black “Revolution” hockey stick. 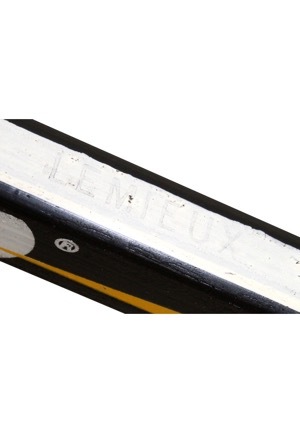 “LEMIEUX” reads towards the top in faded black print on a white strip and “FABRIQUE AU CANADA - MADE IN CANADA” on the lower half. There is black tape on both the top and bottom. 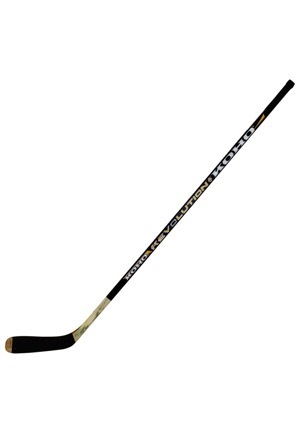 There is unidentified writing on the bottom of the stick just above the tape. 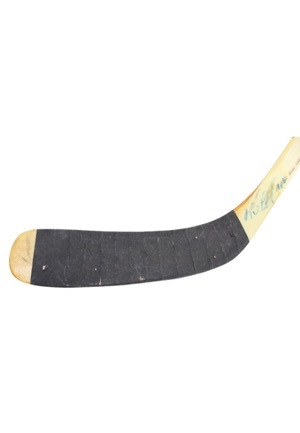 This stick is properly tagged, was presented to us as game-used and shows use.